Pretty little independent house, 2 bedrooms, 4 people, quiet on 4ha park, heated pool, tennis court, games for children, lake for fishing in an exotic setting. Bike path from the Castle and bike rental to the village at 400m. Quiet house games pool castle in the heart of the Landes; Nestled in a park of 4ha, rare species, with heated pool, lake, tennis, French garden, giant bamboo, The Belle Epoque Castle has 7 units in the Pavilion and 6 detached houses. 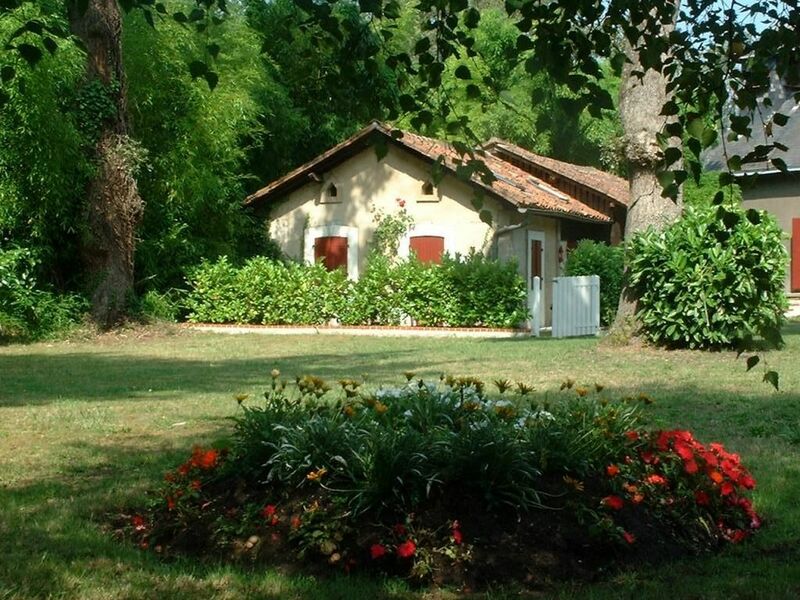 At 9kms from the beaches, 10mn from the Lac de Leon and the Moliets golf course, the Chateau Belle Epoque is ideally located for lovers of exceptional nature; hiking, mountain biking, bike path from the Castle, bike rental on site, horse riding, many tourist attractions await you, such as the Courant d'Huchet, the Moulin de la Galope, or the Ecomuseum of the Marqueze. The accommodations all have a private terrace equipped with garden furniture, with parasol and barbecue. A magical place, a paradise for children. To discover, the best welcome will be reserved. Nous avons passé 4 nuits chez Christian et Malika dans leur très joli domaine. Piscine, jeux pour enfants, ping-pong, tennis, restaurant italien sur place, la mer à 10 km (en vélo ou voiture) ... Tout était réuni pour passer d'excellentes vacances reposantes. At the entrance of the village, turn left on the road to 'Escalus', the entrance to the Château Belle Epoque is 100m to the right. Golf Moliets, Lake Leon and guided tour by boat of the Courant d'Huchet. Ecomuseum of the Marquèze, canoeing kayak, horse riding, etc.